Mike came on staff as a full-time pastor/elder in July, 2007. Mike served as a part-time youth pastor for nine years before coming to Cornerstone. Mike is passionate about seeing lives transformed through the power of the gospel. He loves the outdoors, hiking, biking, playing sports, and technology. He and his wife, Jennifer, have three children. He is a graduate of Virginia Tech and Liberty Baptist Theological Seminary. 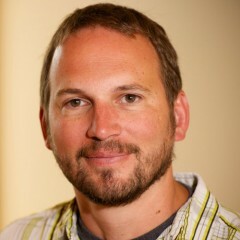 Mike is also a former Mechanical Engineer who regularly blogs about ministry, technology, and life at FaithEngineer.com.